First day of Annual Google IO 2015 Conference commenced earlier today and the general feeling is that Google is now behind refining, optimizing and perfecting Android, rather than adding new features to it – And we think the this move is in the right direction. Here we bring you 6 most important new features to look forward in upcoming Android M.
Android M, the successor of Android Lollipop, looks more like a fine-tuned and reorganized version of it’s predecessor. Number of new things have been added under the hood. Lets look at some of the most important ones. App permissions on Android apps has been a sticky point for Google for a long time. 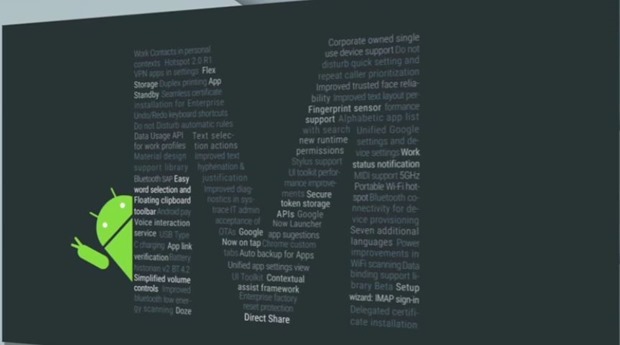 Finally, they have addressed it in Android M, and have addressed them well. Earlier, wall of App permissions were shown while you installed the app and you had to go ahead and accept all of them and then install the app. Going forward, it will change. In Android M, when you install the app, you will not be asked any permissions. However, when you run the actual app, it will ask for permissions on single use case basis. For example, if you newly install WhatsApp and try to send a voice message for the first time, the app will at that time ask you the permission “to use the mic”. You can either allow it or deny it. The good thing about the move is that, app user will exactly know what permissions are required when and then choose to allow or deny it. In addition, user can revoke the permissions at later stage as well. Chrome custom tabs solves another problem during in-app interactions. Basically, when you click on a link in a particular app, you either need to open a browser or then look at the stripped down version of content within the app. Now, developers can integrate Chrome custom tabs within their app, so when you click on a link in the app, a chrome tab will inherently be part of the app, and will show up content as is. The good thing is that Chrome will prefetch the content of links and keep it, so it is readily visible natively within the app when you have the need. Essentially, Chrome browser will become an inherent part of the app. Done Mode makes a debut in Android M – This feature basically puts all your apps in deeper sleep mode if they are inactive for longer amounts of time. While dozing, devices can still show high-priority messages and use alarms. However, in Doze mode, things like data refresh or updates will not happen, significantly improving the battery life. Google claims that it increases the standby time by upto 2 times. High Battery usage has been another long-time problem, hopefully Doze Mode will solve it to certain extent. Google Now, the personal assistant has been improving steadily over the years and with Android M it is going to get even more smarter and easy to access. Though, this is not a Android M feature, it is an integral part of Android and will now be available anytime throughout your phone. The contextual understanding of Google now has been ramped up to a large extent. So, for example, you are reading a mail which has a movie name in it, by long-pressing the home button you can fire up Google now, and it will show you all the related information in regards to that movie, including Youtube trailers, ratings given by users on various sites etc. Lets say you get message regarding a dinner, it will intelligently pickup the restaurant name, give you the address along with directions, it’s Yelp rating etc. Overall, this is a pretty big improvement for Google Now and going forward you will see yourself interacting with Google Now far more than what you have done till now. We spoke about Google Photos a few days back, and it has arrived. 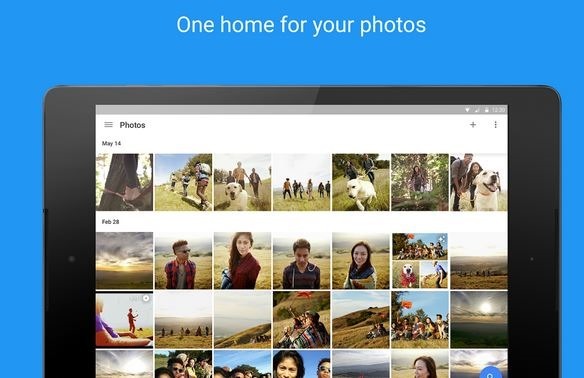 Google Photos is now a separate revamped app, which is already available on Android Play store to download. The biggest thing with Google Photos is that it now offers unlimited space for your photos, so you will not need to worry about exhausting your space. The new app packs in lot of interesting features like it automatically creates montage movies, interactive stories, collages, animations, and more from the photos that are backed up. Visual Search is a very interesting new feature which allows you to search the photos based on the what appears inside your photo. So, lets say you have clicked a photo that has a tree in it. If you search for “tree”, most probably you should be able to find that photo! Curing the Google I/O event there were many other announcements in regards to Google Auto, Google Wear, their IoT OS Brillo among others. We will be covering them separately as well. India’s Mobile & Internet Revolution – This Is Just The Beginning!